The 100th New Zealand Open qualifiers have now been completed across the country with 25 golfers taking a step closer to their dream of playing in our national open. With four clubs playing host to the the round qualifiers, there were two thrilling playoffs in both Otago and Auckland which made for an interesting day. 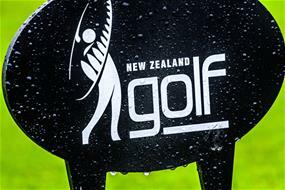 These 25 players will now prepare for final qualifying at the Cromwell Golf Club where a field of approximately 80 players will be fighting it out for just four places if they are to compete in the 100th New Zealand Open. 73 Hayden Robertson (advanced in playoff against Kyle Clark, Robin Smith and Ben Patston). 70 Jared Edwards, Hoje Kang (advanced in playoff against Wonjae Heo, Tyler Wood and Min Su Seo).